Or should I say, happy ALMOST Friday?? It’s finally starting to really feel like fall around here and I’ve been pulling out some of my fall pieces to incorporate into my daily outfits. 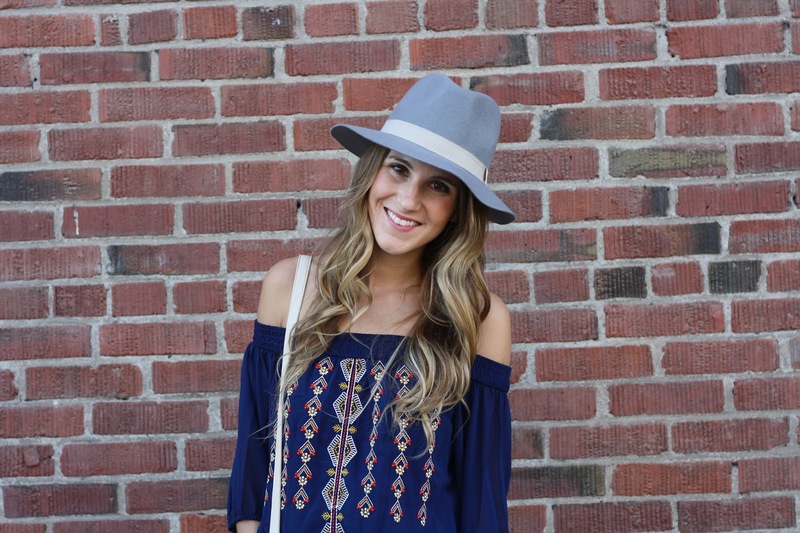 In honor of chillier weather, I am sharing some of my past fall favorite outfits. Most of these pieces are no longer available, but shop similar and identical pieces to get the look! I have already re-created this outfit this fall! Piko/tunic dresses are currently all the rage and I am loving them for how easy they are to style! 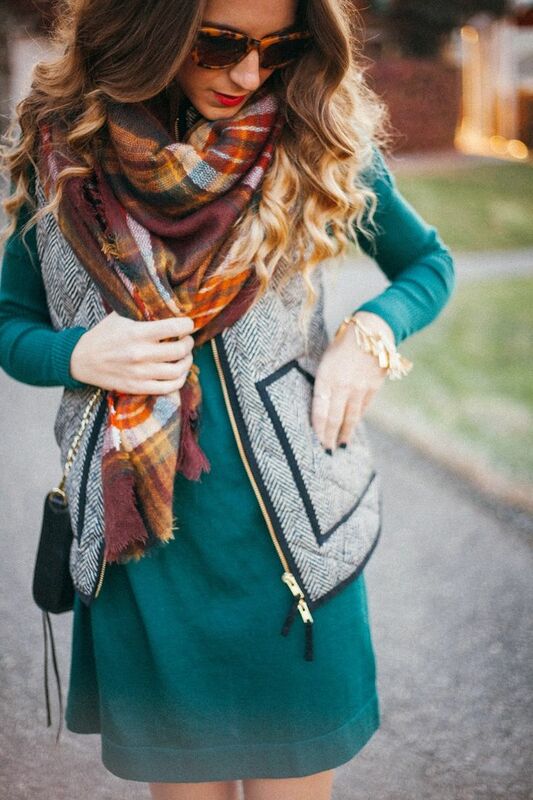 By mixing my favorite herringbone vest and a plaid scarf, It created a cozier look. I finished it off with boots and knee socks. 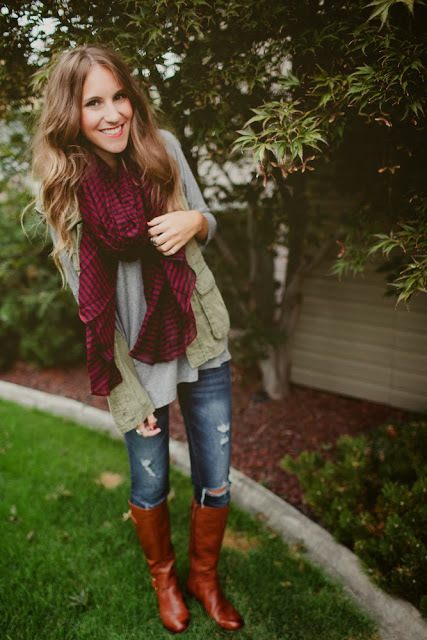 This is the same look from above, but I am so excited to still be obsessing over plaid scarves this fall! This is an accessory you will be seeing frequently this fall and winter! This is one of the coziest looks out there! I am so excited that ponchos and capes are continuing to be a cozy staple this fall. An easy way to look cute white staying warm, layer with long sleeve turtleneck to keep yourself extra toasty! A leather jacket can be a year round essential. I am loving all of the fun colored options popping up lately, from burgundy to blush! I wear my overalls all year long. 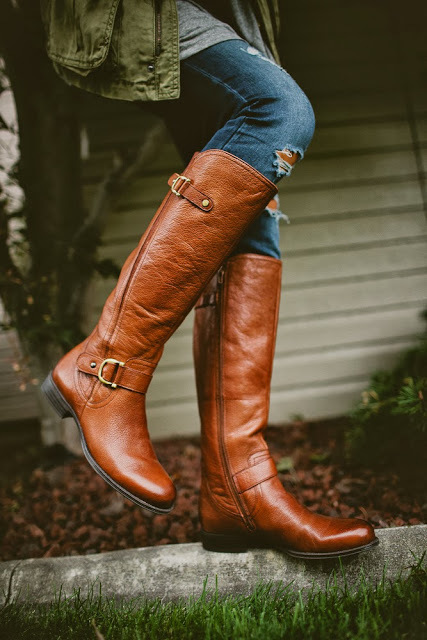 In the summer I pair them with converse and a tee, but I love layering them up for fall with booties and chunky sweaters! A utility/cargo jacket or vest is one of my closet staples. It’s so easy to throw on over anything and add’s an extra layer of warmth! I wear these boots far more than any other shoe in my closet! They are ridiculously comfortable and go with anything! I love that I can wear them for work or on the weekends! 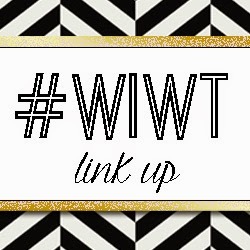 This week’s blogger of the week is Sheree of Posh Classy Mom. I have featured Sheree before as I am in love with her fresh style! These olive pants and grid top create a perfect combo, but I absolutely love that she topped it off with a pair of Valentino Rockstuds. Gorgeous!